Thanks for sharing the recipe, Mike! I've been playing around with different types of salsas lately but haven't started in on the hot sauce. This one sounds great and a good place to start, just need to find some chile de arbol paste. Hi Carol - I definitely recommend making the chile paste yourself. It is really easy to do, and dried chile de arbol are cheap and easy to get. Thanks, Mike, I think I'll do that since I really want to try your chili paste. This looks fabulous and easy! 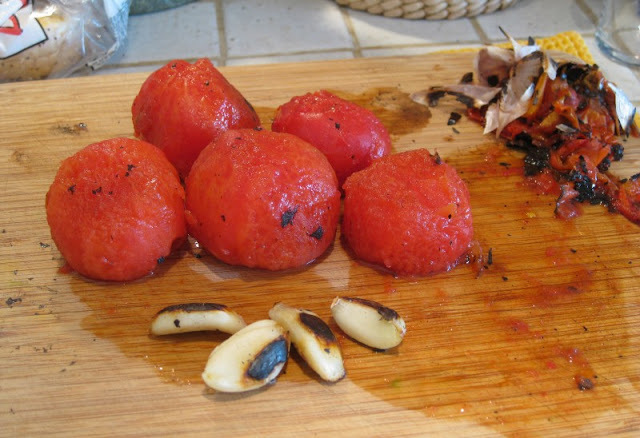 I am going to try your method with a combination of the chile de arbol and anchos. 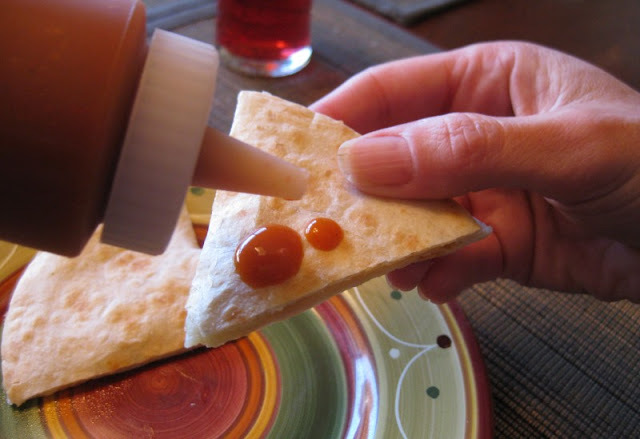 And this taco sauce as well. You have definitely taken the mystery out of it. Love your blog! Hi Mimi - we've made chile paste using anchos and it is good, but definitely different. The anchos give it a more earthy, raisiny character. One of the things we like to use it for is making Pollo Adobado. I can't wait to try this! 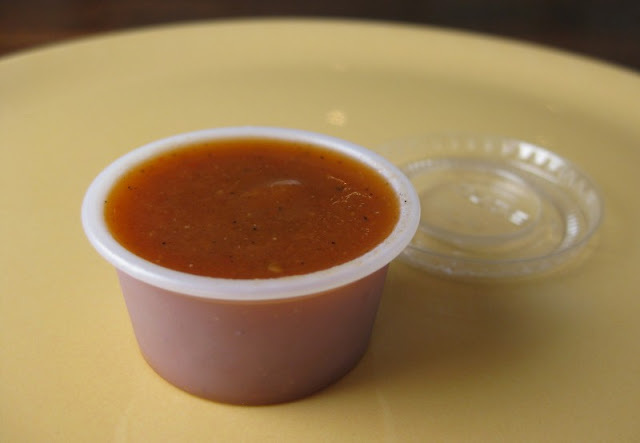 I've been looking for a good AND easy hot sauce recipes! I am so glad I found this recipe. Now, can you help me out. When I was done blending it came out so frothy. (Maybe I am being impatient). Yours is so much darker in color too. I don't know what I can add to make it more taco shop like I remember from living in San Diego. I cannot add anymore paste either, its at maximum temperature for my husband. Hi Amanda - my hot sauce is sometimes a bit frothy right after blending, too, but I usually don't notice it being a problem later. As for color/flavor, the biggest factor there is the quality/amount of the chiles. I've found that different sources of chile de arbol have made a big difference. My current favorite is from Rancho Gordo. You could also try blending with a milder dried chile to allow you to have more chile flavor with less heat. I am all the way in Washington so the closest I am going to get is the dried chiles in the "Mexican" aisle. LOL. I messed with it this morning (more water, a little more paste) came out much more like I remember. Thank you for this recipe!! Also made your Tamatillo Salsa Verde (AH-MAZING!) Can't wait to try it on my Taco Shop Carne Asada Burritos for dinner!!! Any idea how long this keeps? It usually lasts fine for about 2-3 weeks. So I made up a batch a couple days ago and it's awesome!! My doesn't look half as good as yours but I'm confident that the fault lays with me. I can't wait to finish consuming batch one so I can make a second batch. Thanks for sharing! Hi Jared - glad the hot sauce worked out for you! 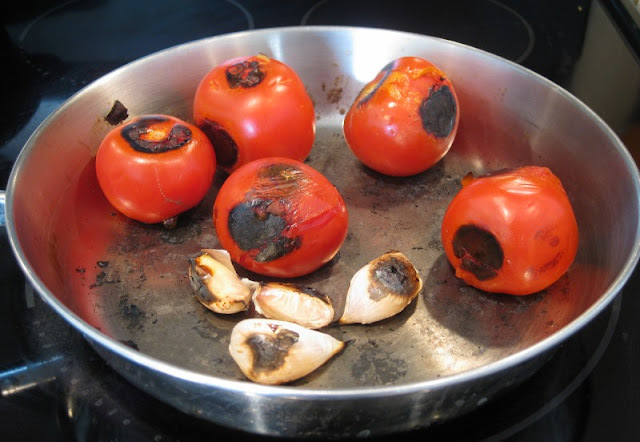 I need to do an updated post, since my current method is even easier (mostly due to broiling the tomatoes and garlic instead of doing them in a frying pan). 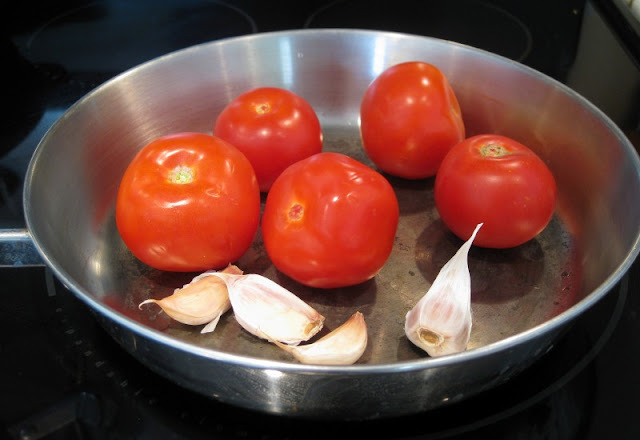 I was able to get a good char on my garlic but the tomatoes flummoxed me. I was considering using a torch or classic french style concasse. It works really well under the broiler. I do a cross-shaped score of the top and bottom before roasting to help the skin pull away.